The banking industry has long been heavily regulated, and the advent of the 2008 crisis led to the industry being ever more strictly regulated in all jurisdictions. As a result of the ever-increasing popularity and dissemination of blockchain technology over the recent past, the irresistible popularity of cryptocurrencies, and the ever so popular fund-raising mechanism of Initial Coin Offerings, banks are looking at such technology as a threat to their very existence. Nonetheless banks can no longer deny the potential benefits of blockchain technology. As described in one of my earlier articles, banks such as UBS started looking at making use of blockchain technology to create a digital currency that would streamline blockchain payment solutions for inter-bank transactions through the creation of what has been dubbed the Utility Settlement Coin. It is a well-known secret that banks around the world are undertaking and conducting tests for the implementation of block­chain-based business processes. Large banks are also investing in a number of upcoming start-ups that are developing interesting blockchain based solutions. According to a study by a firm named Accenture Consulting, the world banking sector could save as much as $20 billion (€18bn) by 2022 should the use of block­chain-based solutions pick up. What can blockchain technology do for the banking industry? Blockchain technology can potentially disrupt the way banks and its clients do business with one another. The technology could potentially reduce time, costs and unnecessary bureaucracy in under­taking transactions with one or more banking institutions. One of the effects of the banking crises was the need for banks to increase their core Tier 1 capital requirements in order to ensure that they have sufficient resources in the event of a downturn in the economic cycle or as a result of an external shock as was experienced in 2008. Through the introduction of blockchain technology, banks would not need to make use of intermediaries such as clearing houses, which would lead to the elimination of the fees that the latter charge. As a result of the use of blockchain technology, banks would be in a better position from a capitalisation point of view due to a significant reduction in opera­tions costs. Such cost savings could be used to invest in better banking systems as well as returns for shareholders through higher equity earnings. One of the many frustrations that the man in the street faces is when a payment is made by a client who does not bank with the same bank. As many of us are aware it can take up to three days for an intra-bank transaction to clear from one bank to another. If same-day settlement is needed, additional costs are incurred. One of the first benefits of the blockchain techno­logy in the banking sector will be that of having a more efficient payment system. Payment transactions could be done in minutes, if not seconds, through a user oriented optimised blockchain systems. This will significantly reduce both time and costs not only for the customer but also for the bank. This is because a number of middle-men, including corresponding banks, would have been eliminated from the transaction process. 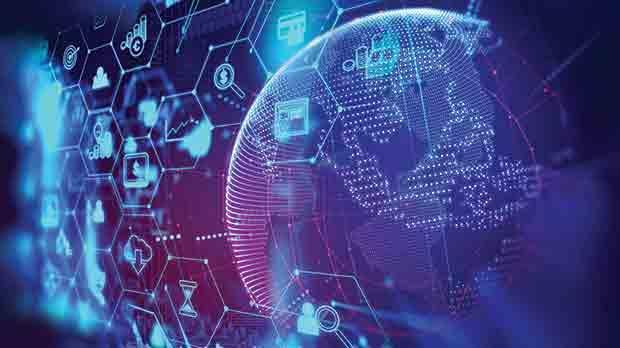 Therefore, blockchain could enable higher security and lower costs for banks to process payments between organisations and their clients and even between banks themselves. The banks have a vested interest in exploring the im­provement of settlements both intra-bank as well as internally to the bank itself. Regulatory authorities and governments, including supra-national bodies, are increasing pressure to implement robust anti-money laundering (AML) and know-your-client (KYC) procedures. A challenge being faced by banks of the 21st and 22nd century is how to prevent the illicit use of its systems by those wishing to launder illicit gains. Banks around the world spend millions of euros each year to verify the identity of their clients and the purpose of their transactions in order to reduce money laundering and financing of terrorism activities. Every bank has its own specific policies and procedures to adhere to, and due to the lack of standardi­sation, complying to each request is very time consuming. The application of blockchain technology would permit the in­de­pendent verification of clients by one organisation. When a new client is to be taken on board by a bank, the latter would verify the documentation provided. Once their veracity is confirmed, the bank would be able to share this information on the blockchain. Whenever new information is provided or needed can be attached as a new block on the chain through encrypted updates to the ledger. The beauty of this is that this information can be accessed in real-time by other entities. This would create a digital identity or passport of the onboarded client which can be used for future transactions. The difficulty here lies with laws such as GDPR. Linked with AML/KYC requirements, one of the major causes of losses suffered by banks as well as entities such as money transfer companies is economic crime – i.e. fraud. Since most banking systems are based on a centralised database, they are more prone to cyber-attacks. In fact, cyber security has become one of the buzzwords in modern times. Banks and other financial institutions are being encouraged to shore up systems that are vulnerable to cyber-attacks. Using distributed ledger technology where each block on the chain is timestamped and each block is linked to a previous block, would eliminate or significantly reduce fraudulent transactions. Another benefit of blockchain technology in the banking industry would be the use of smart contracts. A smart contract is a digital contract based on computer code that can be executed between two or more parties using their ‘keys’, which would facilitate the execution of transactions. An example could be in relation to letters of credit. Letters of credit are typically used for the settlement of one or more transactions once goods have been delivered from the manufacturer to the importer. Through a smart contract, contractual terms could be improved since smart contracts would execute automatically once certain pre-set conditions have been met. It is important that smart contracts are firmly rooted in law and comply to any regulatory compliances, across jurisdictions if needed. Other benefits include in­creased transparency as well as reduced counterparty and error handling risks. However, before banking institutions are able to fully exploit the benefits of blockchain technology, there are also a number of considerations that need to be taken into account. As already indicated, one of the first hurdles would be that of complying with privacy laws such as GDPR. Moreover, the current banking system is still a centralised and highly regulated and supervised industry. Therefore, regulators need to ensure that they are in a position to carry their regulatory oversight inspections. Another major hurdle is that of scalability. While blockchain technology provides many potential solutions, the biggest hurdle is computing power. Due to the large amount of data that banks handle, the ability to have scalability is extremely important. Nonetheless, it is important for banks to investigate and adopt new technologies. This article does not purport to give legal, financial or tax advice. Readers who require further information may contact the author at NWQuestions@gmail.com.